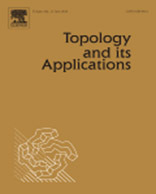 A special issue of the journal Topology and its Applications will be devoted to the Proceedings of the 2018 International Conference on Topology and its Applications. The usual standards of Topology and its Applications will be applied. Each submitted paper should not exceed 20 pages. "Selected papers of the 2018 International Conference on Topology and its Applications"
which will be edited by the organizers (D.N. Georgiou, S.D. Iliadis, and I.E. Kougias, and A.C. Megaritis). In this volume the number of pages of the articles is not restricted. Authors with articles in this volume will get a free copy. The submission deadline is December 31, 2018.